We begin with a well-known truth. Since God is the author of nature, all laws governing the universe are an image of His wisdom and goodness. Among these laws are those of physics, among which are those of mechanics. Thus, one who dedicates himself to the study of the mechanical arts and obtains new benefits for man by developing ever more perfected mechanisms deserves only praise. Let us see another well-known truth. It is not enough just to love that which is good. Good things are hierarchically arranged both among themselves and in relation to God. Thus, while appreciating everything that God has made, we must further attribute to each thing the exact value God willed to give it. It is reasonable, for example, to like plants. However, it would be absurd to prefer plants to men. It is right to cultivate the arts. It would be gravely wrong to hold that the arts should be esteemed as much as theology. The laws of mechanics apply to the inanimate world, that is, the least elevated beings in the order of creation since they have no degree of life. There could not be a greater or graver disorder than for someone to hold up the mechanical arts as the highest and noblest object of the human intelligence. Likewise it would be wrong to claim that everyone, all human society or any of its myriad lesser societies and groups, must be and act “more mechanico,” that is, like a machine. One can rightly like the mechanical arts immensely. However, this does not dispense one from recognizing the natural superiority of other kinds of knowledge, over that to which one has dedicated oneself. A veterinarian who tries to organize the world like an immense horse farm would err less than a mechanical engineer who conceives it as an immense machine. This is precisely the error of so many people today. They are delighted, thrilled and enthused by everything related to the machine. Men delight in knowing, analyzing and improving gears, rivets, springs, axles, belts and pulleys. They look upon literature, art, philosophy, history and theology with relative indifference. However, when in the presence of a machine, like, for example, the motor of a car or motorcycle, he will exclaim: “O marvel of marvels!” There is not a nut or screw that will not entirely absorb his contemplation. Where does this attitude come from? It would take too long to answer this question here. Let us merely remember in passing that the mechanical arts deal exclusively with matter. Thus, the profoundly materialistic man of our century naturally has a special propensity for mechanics. Obviously this causes grave problems. The idolatry of the machine has led to the mechanization of life. Twice, the Holy Father Pius XII warned the faithful against this new error. The first time was in an allocution to Catholic Action on May 3, 1951. 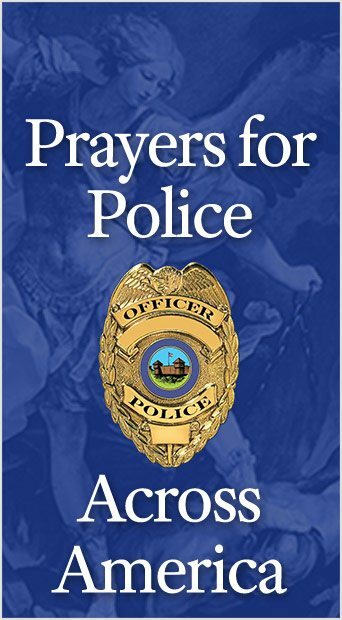 He commented on how the members of Catholic Action must not see their organization as if it were an immense machine moved by electricity from a central command switch. Rather, he said it must be seen as a living organization of living beings and not a set of inert parts however cleverly fit together. Finally, he reiterated this thought in his 1952 Christmas radio message, one of his most brilliant and profound discourses and certainly comparable to the most beautiful encyclicals of Leo XIII. He commented upon how the rhythm of human work and progress is not impersonal, blind and inexorable, like that of a machine, but living, wise and immensely variable like God’s paternal government. The tendency to organize mechanically huge enterprises like human society, or important projects like Catholic Action, shows all too well to what extremes the idolatry of the machine may reach. In the first picture on this page we have a curious mechanical idol. It is a machine to do nothing. 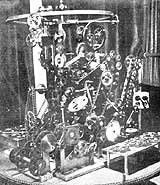 This complicated apparatus that “functions” perfectly was the brainchild of Mr. Lawrence Wahlstrom of Los Angeles, California. It has no practical purpose. Its purpose is to delight those who love machinery, by the immense complexity of its useless working parts. How many there are, perhaps among our readers, who would delight in analyzing this machine yet would find boring the reading of a few verses of epic poetry or, even worse, a page of Saint Bernard about Our Lady! Ruins of Coventry Cathedral with the plans for an extension. 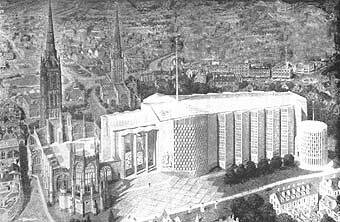 The other illustration shows the majestic and elegant ruins of Coventry Cathedral, destroyed during the Second World War. Next to the ruins is the projected new cathedral, that resembles very much a huge factory with its massive, heavy design built without the least esthetic consideration. It does not call to mind a temple of God, destined to incite the faithful by the nobility of its design, to lift up their souls to the thrice Holy God, who is the infinite and substantial source of all beauty. Why were the design and form of this building, that would be better suited for an electric power plant, adopted for a temple for which it is entirely inadequate? This article was originally published in in the magazine Catolicismo in August, 1953. This entry was posted in Catholic Perspective, Plinio Corrêa de Oliveira and tagged Art, Catholic Action, Coventry Cathedral, crude machine, God, hierarchical, history, Lawrence Wahlstrom, laws, Leo XII, literature, Los Angeles, machine, mateerialistic, mechanics, Our Lady, philosophy, physics, Pius XII, Professor Plinio Correa de Oliveira, Reign of Mary, Saint Bernard, superiority, theology by Plinio Corrêa de Oliveira. Bookmark the permalink.